In Part I of Getting Started with Power Pivot we created our first Excel Data Model. Today we will create additional relationships and start using DAX to add business logic to our Model. 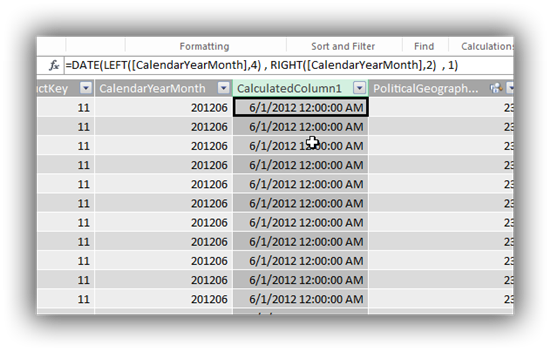 Clicking the slicer doesn’t do anything yet as there again no relationship between the Invoice and DateTable. 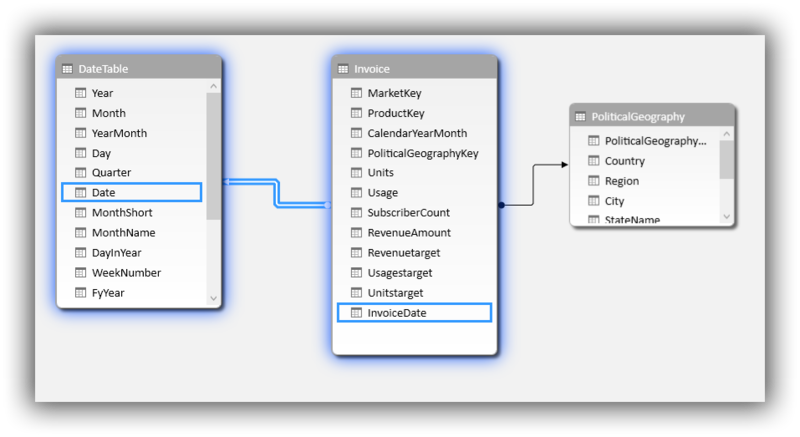 After inspecting the fields in both tables I find out that there is no field in the Invoice table that I can use to relate with. Luckily we can create a field in the table that allows us to create the relationship. To work with the Data model In Excel 2013 we use the Power Pivot add-in. This add in is installed by default in many versions of Excel, you just need to enable it. 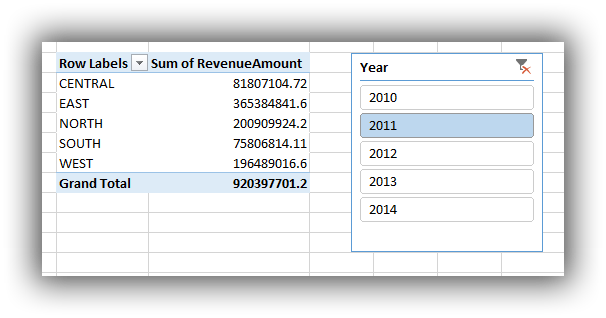 I now select the Invoice table where I want to create a column that adds a Date value to for each row of data. 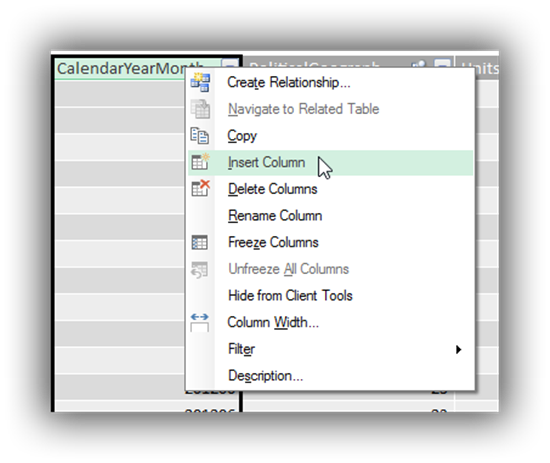 I do right mouse click on the CalendarYearMonth column and select “Insert Column”. As you might notice the formula used here is very similar to the formula’s you would write in Excel, this on purpose, the DAX language used in Power Pivot is designed to be familiar to the Excel users. 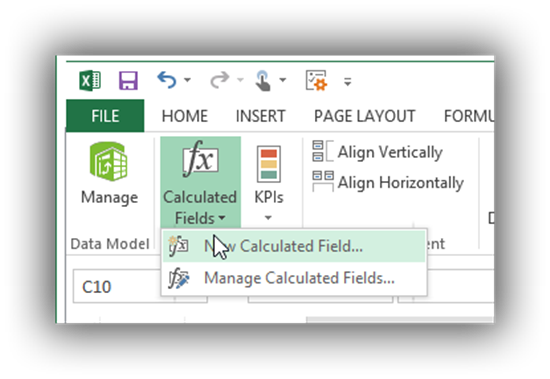 It has some differences that are mostly focused around capabilities that are not supported by Excel like traversing relationships and special built-in functionality for calculations. Now I want to compare the RevenueAmount for the selected year with the RevenueAmount for the previous year. In order for me to do this I can again use a DAX formula. In this case I want to create a calculated field in Excel to add to my PivotTable. 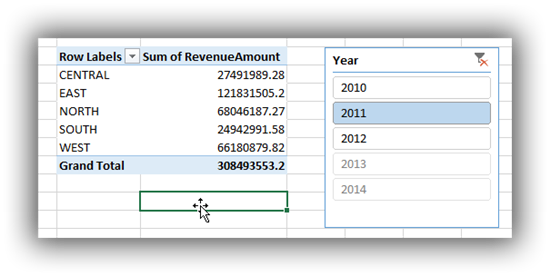 I hope these blog post gave you a good overview of the capabilities of Power Pivot. 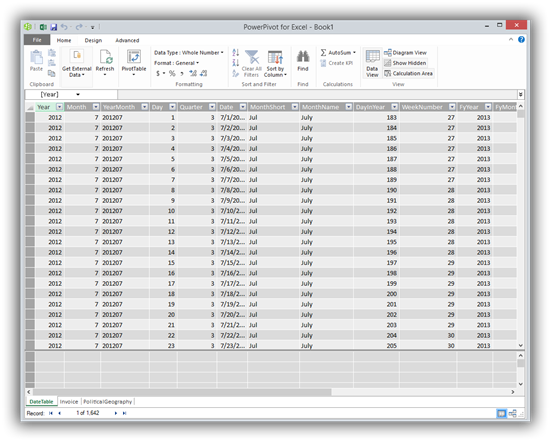 Having said that this blog post will be just the beginning of your journey to getting to know Power Pivot and unlocking all its wonders.